The Family Practice Renewal Program is offering a half-day Group Learning Program for Family Practice Physicians and Residents. Nurse Practitioners working with Family Physicians in Care of the Older Adult can also register – Family Physicians please inform your NPs! Click the graphic below for detailed information and to register. NOTE: This offering is in St. John’s. Additional offerings in other areas of the province are anticipated. Gary Kelly officially began his role as Manager for the Long Range FPN on October 15, 2018. 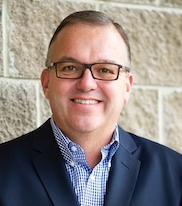 Gary has more than 20 years’ experience working with physicians in Newfoundland and Labrador, Atlantic Canada and internationally, during which he developed a deep understanding of the complexities of primary health care and the unique challenges facing family physicians today. He has directed and managed comprehensive healthcare programs with the primary goals of helping physicians improve access to services and improving communication with specialists and patients. 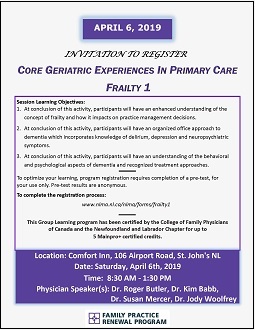 Physicians in the Long Range FPN area (western Newfoundland) can reach Gary at (709) 660-0100 or gary@longrangefpn.com. Monica Bull started her new role with the Shalloway FPN on January 9, 2019. 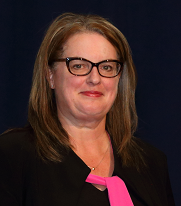 A Registered Social Worker, Monica has provided leadership and expertise to numerous provincial initiatives, national initiatives and committees, while working in various capacities in health care for over 25 years in NL and Ontario. She brings a unique perspective to the FPN, having been based at the Eastport Community Health Centre, where she observed first-hand some of the unique challenges and opportunities that exist within rural primary care delivery. Physicians in the Shalloway FPN area (central Newfoundland) can reach Monica at (709) 571-1193 or monica@shallowayfpn.com. Adam Wylie took on his new role with the Endeavor FPN on January 7, 2019. 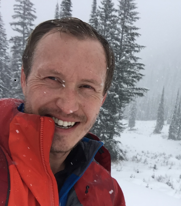 Adam comes to Endeavor from British Columbia, where he worked to deliver strong primary care, while improving the coordination of service delivery between health care organizations and many non-profit and government organizations. Working with the Practice Support Program (PSP), a provincial organization supported by the General Practice Services Committee in BC, he helped physicians improve practice design and prepare for Team-Based Care, while improving coordination of organizational support for physicians in their communities. He has a Master’s degree in Social Work from UBC’s Okanagan campus. Physicians in the Endeavor FPN area (St. John’s and area) can reach Adam at (709) 764-7546 or adam@endeavorfpn.com.